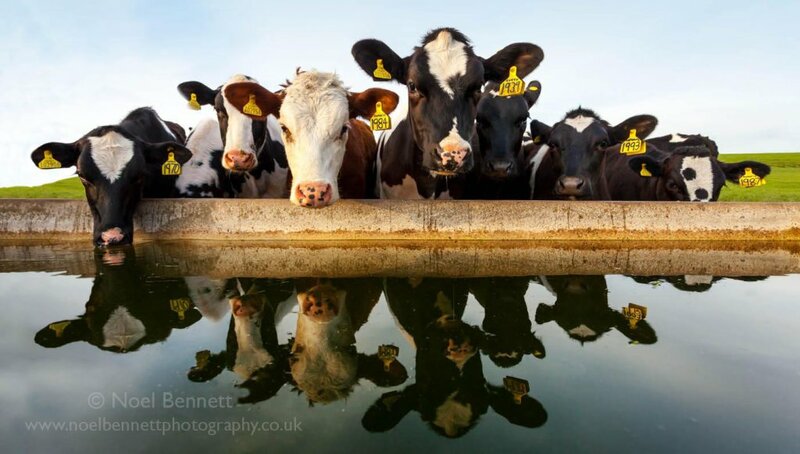 As you can see, the magic of this scene is in the reflection I saw in the water trough. I had to walk back to the car to get my super wide angle lens, which enabled to get in close enough. I decided to keep the tags in because the farmer had named all his cows - big softy!